“The dog was created specifically for children. He is the god of frolic,” commented 19th-century clergyman Henry Ward Beecher. While he may have been right about the dog’s unbridled, innocent joy, the idea that canines are most suited to children is debunked in The Dog in Photography, a comprehensive Taschen-published volume that charts the animal’s presence in culture and images from 1839 to the present day. Compiled by Raymond Merritt, the book examines the dog’s role in society from the earliest days of image-making, and how our relationships with dogs have evolved over the centuries. One constant factor – throughout years of economic unrest, war, celebrity culture and technological breakthroughs – is the adoration between pets and owners. Here we look at eight famous dog-owners who are pictured in the tome with their beloved hounds. 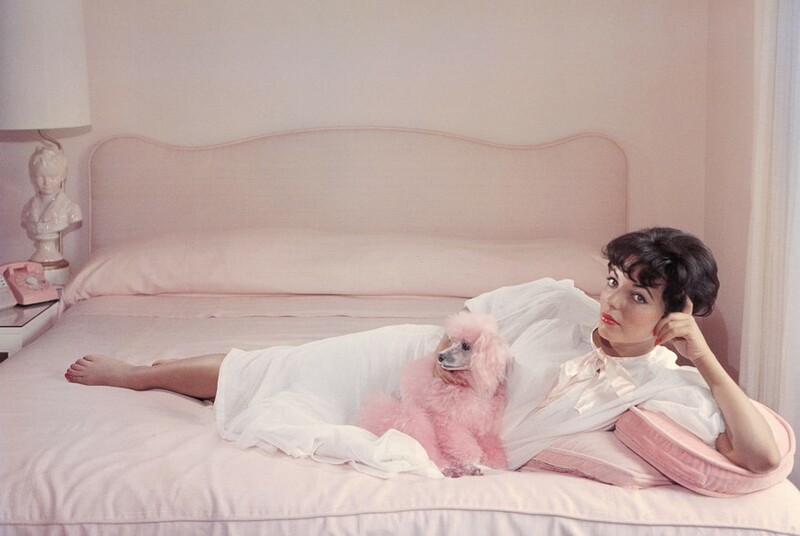 Entitled Joan Collins Relaxes, this 1955 Slim Aarons-lensed shot practically speaks for itself. Collins reclines on a pink bed, on pink cushions, in a pink room (complete with a telephone of the same hue on the bedside table) and clutches a pink poodle to her chest. John F. Kennedy, 1949Unknown photographer, Courtesy John F. Kennedy Library, MA. 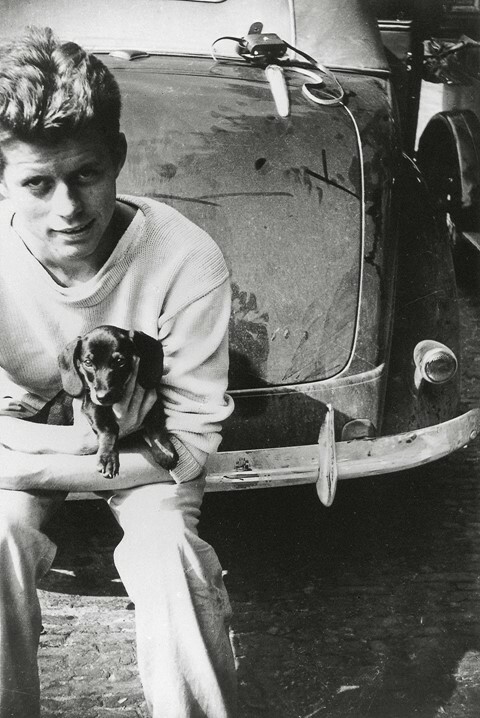 A fresh-faced John F. Kennedy toured Europe in the late 1930s, and encountered on the journey a dachshund puppy. Having had an affinity for dogs since childhood – and indeed having grown up surrounded by them – Kennedy appears naturally at ease with the diminutive hound. 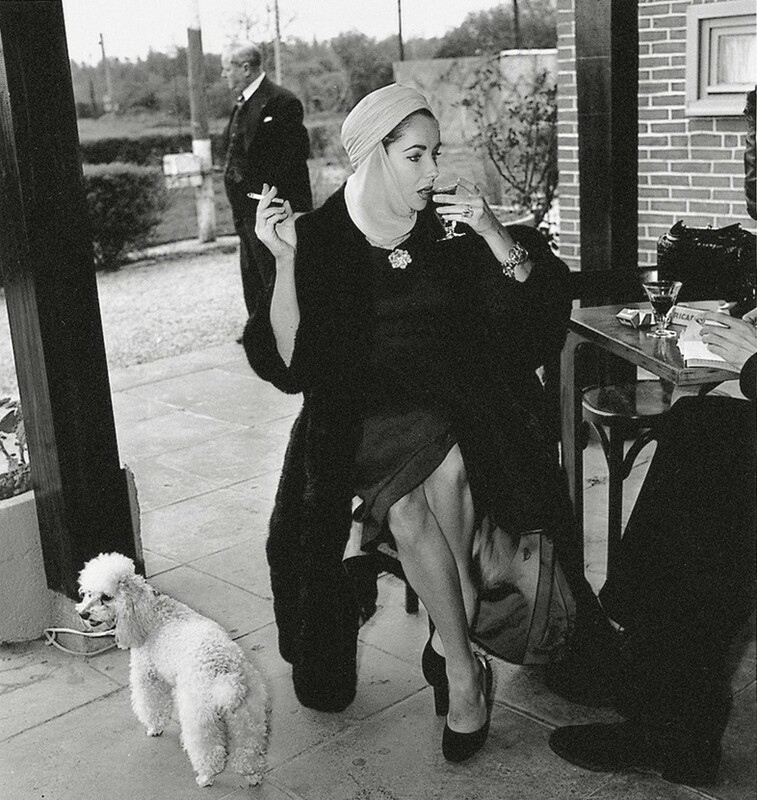 Elizabeth Taylor once commented that “some of my best leading men have been dogs and horses”, and the actress unashamedly treasured dogs throughout her life. In her later years she would favour maltese terriers – a breed characterised by their small frame and fluffy white coat – though in 1957 she owned a miniature poodle, who was similarly small and white, but whose fur grew in tight curls, a trait typical to the breed. 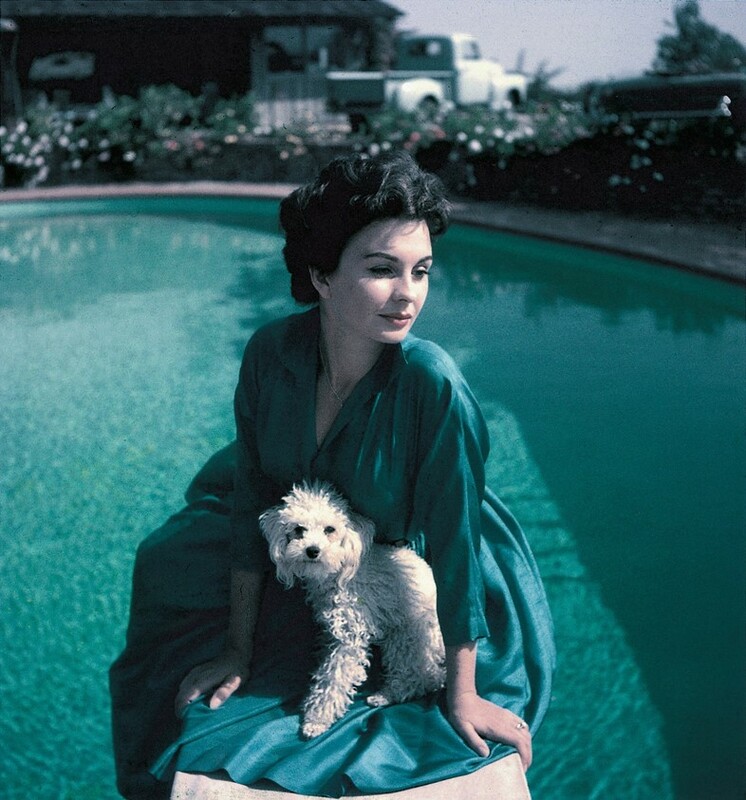 English actress Jean Simmons was the proud and protective owner of a grey poodle named Bessy. 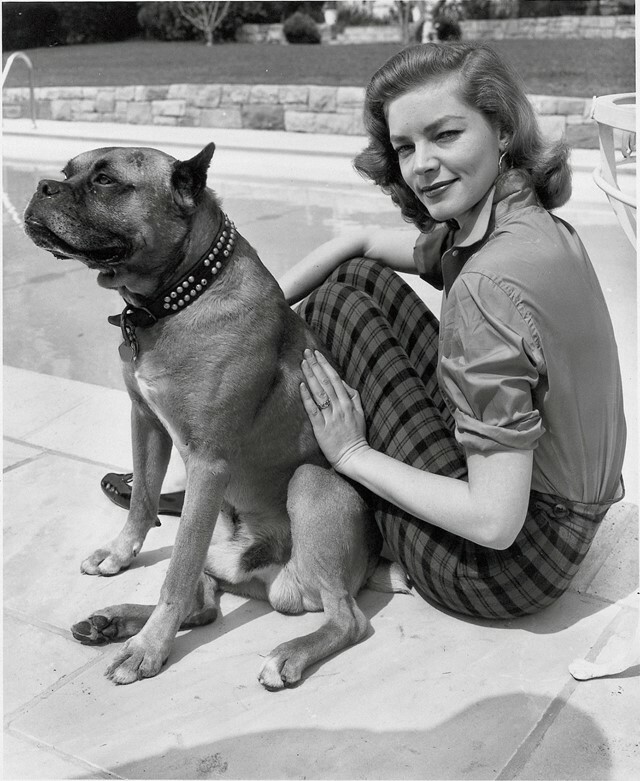 The dog accompanied Simmons on many film sets – that of 1960’s Spartacus, for example, where she was photographed with Laurence Olivier. Many US presidents and their families have had White House pets, and over the years dogs have been central to this unofficial tradition. 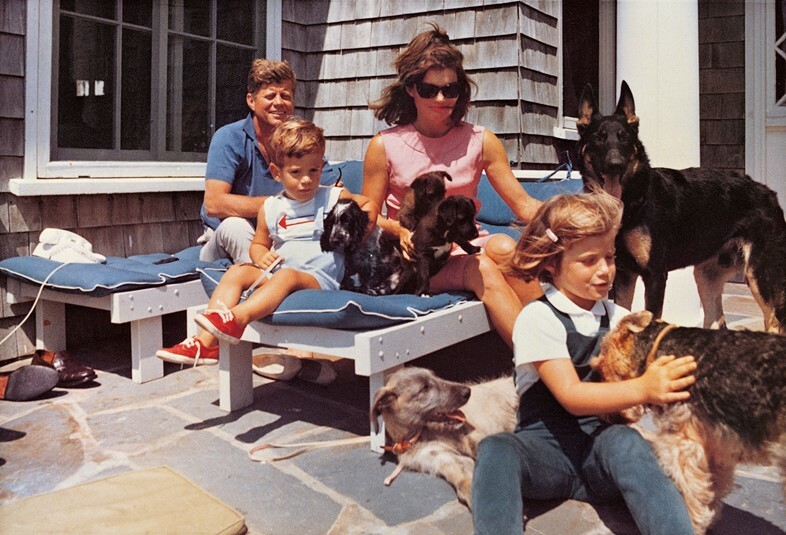 John F. and Jacqueline Kennedy embraced the presence of pets in the presidential home wholeheartedly during his two and a half year time in office. Among rabbits, horses, cats, hamsters and parakeets, the family had the following dogs: Gaullie, a poodle; Charlie, Welsh terrier; Moe, doberman pinscher; Pushinka, a gift from Khrushchev whose parent was Soviet space dog Strelka; Shannon, Irish cocker spaniel; Wolf, an Irish wolfhound schnauzer cross; Clipper, German shepherd; and four puppies by Pushinka and Charlie named Butterfly, White Tips, Blackie and Streaker. Enduring and inimitable monarch Queen Victoria kept many dogs too. Victoria was hailed as the “patroness monarch of photography and dogs” for her fervent advocation of both fields: she supported pioneering technological advances in the arts and paid close attention to the protection of dogs. 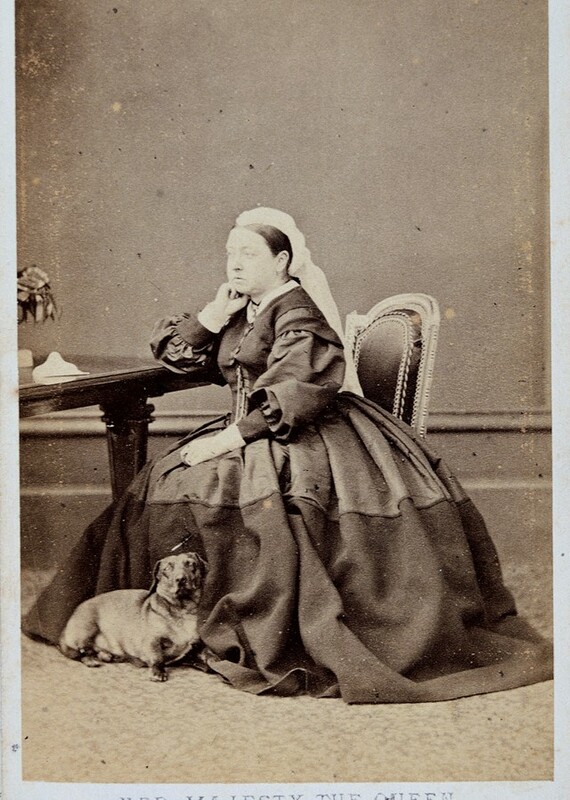 Her favourite hound was a collie named Noble – whom she had immortalised in stone by her daughter Princess Louise – but she was photographed by Hills & Saunders in 1870 accompanied by Boz the dachshund. Audrey Hepburn was known to adore animals (the star had a pet fawn named Pippin in the late 50s) and her favourite breed of dog was the Yorkshire terrier. 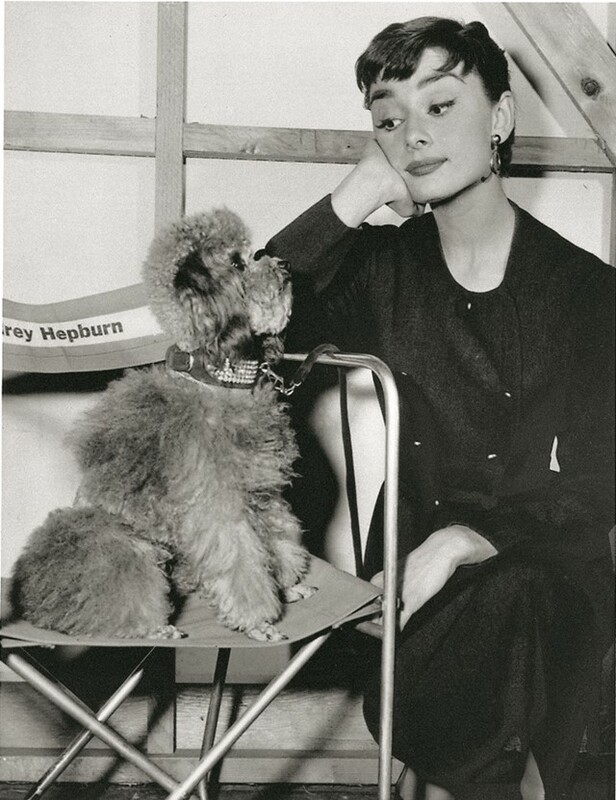 Her first beloved terrier, Mr Famous, even appeared with her in 1957’s Funny Face, but prior to this, Hepburn is pictured on the set of Sabrina gazing at a slightly larger, curlier-haired poodle wearing a crystal-embellished collar – her co-star in the 1954 film. The Dog in Photography: 1839-Today is out now, published by Taschen.